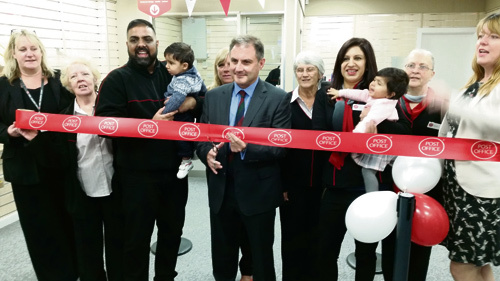 MP Jack Lopresti was on hand to cut the ribbon to mark the opening of the revamped Staple Hill Post Office. The Post Office and store, at 119 High Street, have been extensively refurbished as part of a nationwide modernisation programme. Mr Lopresti, MP for Filton and Bradley Stoke, welcomed Ravi and Raj Kenth who will be running the operation. Service is now provided from three modern counters – one open-plan counter, one screened and a Post Office service point beside the retail till, offering selected services. There are two main counters which are open Monday to Saturday from 9am - 5.30pm. The Post Office service point is open longer hours, Monday to Saturday from 8.30am - 8pm and Sundays from 9am - 4pm. The new hours equate to an extra 30 hours a week, including all-day Sunday and Saturday afternoon, and are aimed at making it more convenient for customers to visit. Mr and Mrs Kenth have completely changed the retail offering. Previously the store sold cards and stationery, whereas now it sells groceries, household goods and alcohol and locally produced bread, pastries, cakes, sandwiches, meats and eggs. The couple are already well known in the area as they run Premier convenience stores in Soundwell Road and Hillside, St George. Mr and Mrs Kenth, who have nine-month-old twins Aaron and Ariya, will run Staple Hill Post Office and store whilst staff run the other stores. Staff working for the previous postmaster will stay on and a further four staff have been employed to cope with the expanded retail side of the business. Mrs Kenth, said: “We are very excited to have taken on a Post Office and store. We are looking forward to the new challenge of running a Post Office. The branch was very old fashioned, now we have changed everything. Post Office field change advisor Jane Jenkins said: “This modernisation of the Post Office is part of a major investment programme, the largest in the history of the Post Office. The investment marks a commitment to no more branch closure programmes. 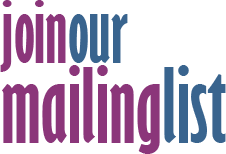 We are making it easier for customers to get their cash, send and collect their mail and do their banking because we know how important these services are to local residents.